Doctor Who - Let The Circus Begin! | Warped Factor - Words in the Key of Geek. Doctor Who - Let The Circus Begin! Tony Fyler throws in his two cents. 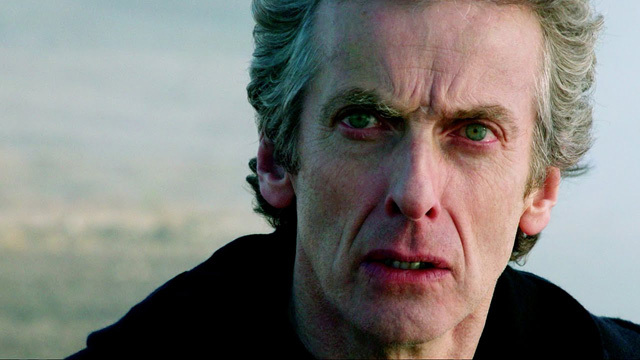 Most of us have now had our appetites well and truly whetted by the new Doctor Who trailer. If it’s Susan – Meh, bit of a classless move, seeing that Carol Ann Ford still rocks, and recently posed for pictures with Peter Capaldi. Unless of course the reason she was in Cardiff was to film a decent regeneration scene, in which case bring it on. If it’s Jenny – I can legitimately not give a particularly huge geek-toss. The original Doctor’s Daughter story was OK, if a bit gimmicky, and there’s room for her in the universe, I just don’t intend to spend months obsessing over it. It’s probably neither: it’s probably an in-story reveal clipped to make us think one of the first two things is happening, and specifically geared to turning us into a chorus of performing seals for the next two months, just as we were over whether Missy was the Rani, the Master, Susan, Clara, River, or Any Other Vaguely Successful Female Character From The Show’s History Whatsoever. I’m going to come out right now and say I don’t care. I don’t care if it’s Susan, I don’t care if it’s Jenny, I don’t care if it’s neither of those. I don’t care if the Meddling Monk has turned young and female and is messing about with Vikings In Space (Hmm…if not, possible idea for a story). Which is to say of course I care, and whatever the truth is, we all know I’m easy, so I’m probably going to love it. But let’s not turn that last moment question into the focus of the trailer. Did you see the other Really Cool Stuff in there? Eyeless creepy people, led by someone who looks like a dodgy-faced Abe Lincoln. What looks like a flooding wooden spaceship. A deeply creepy two-faced woman with a major tin-foil hat and a line of shots. A bloke in a cowl with a face that needs ironing and someone in a red robe with…is it just me, or is that a vaguely familiar headdress? A Zygon lifting up an adorable little blonde girl with pigtails. Eww – Zygon-children? Creepy! A skull-faced alien with mandibles coming out of its chin and – not to put too fine a point on it – a very labial facial arrangement. Oh yeah, there’s a Dalek. Maybe the return of Rusty? Hands coming up through the ground. Maybe – just maybe – something Cyber – if you look at one of the shots of running down corridors, one of the pursuers has a Tony Stark-style blue glowing circle in the middle of their chest. Just sayin’. Cool illuminated cities or bases or suchlike that look like they’ve been made in the shape of crop circles out of dismantled Skovox Blitzers. Lots and lots of Missy. Yay. Shush now, haters. A weird silhouetty thing that looks like a hairy two-eyed Dalek, but undoubtedly isn’t. Those walking postbox suits of armour monsters from all the promo shots. Something metal-looking and bulbous-headed running down corridors in what looks like the wooden spaceship. But more, much more than this, as I’m fairly sure someone once said, did you get a look at the Doctor? Did you listen to the strength of his tone, the self-definition of his mission? No more of the old-man angst over whether he’s a good man or not. This sounds like what we were promised originally – the anti-Smith: where Smith played the undergraduate who’s really the professor, this feels like Capaldi as the professor who’s really the undergraduate. This is the Capaldi Doctor running to the universe to ‘kiss it to death’ – the Doctor shredding on an electric guitar, wearing cool shades that undoubtedly have a plot significance (maybe against the eyeless people? Big Finish fans, anyone else getting an ‘Embrace The Darkness’ shudder?). This is a Doctor not afraid to smile, apparently not afraid to hug, not afraid to let the breadth of his personality come out. This is the Doctor who saves people. Feel free to punch the air, and squee if you must, just don’t make a mess of the carpet. 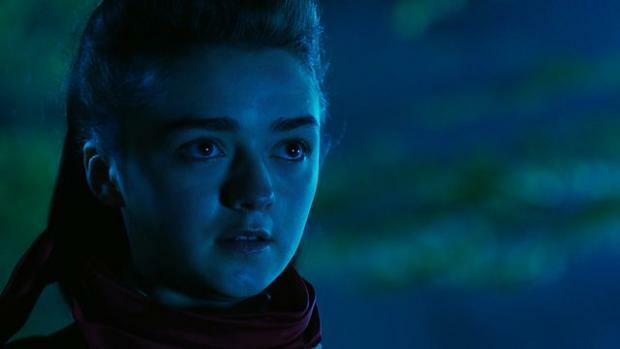 There is so much more to be excited about in this tiny minute-and-a-half of highlight moments from Series 9 than who Maisie Williams is playing. And I know my geekdom – I know the internet is going to be utterly unable to resist the endless speculation over which of the three inevitable scenarios I outlined at the start is coming our way, so I’m not going to waste my breath saying ‘don’t make this what the next two months are about’ – the trailer was designed to dictate the existence of debate over precisely that point till we’re all positively frothing at the mouth for the new series, to get that question answered. All I’m saying is ‘Yes, but did you see the other stuff too? !’ Go wild and crazy, Who fans, but not just over whether Susan, or Jenny, or Someone Else Entirely is coming back. Go wild and crazy because the Doctor is coming back. And a universe of wild and wonderful and terrifying things is coming with him.